Log into the NoteVault website. 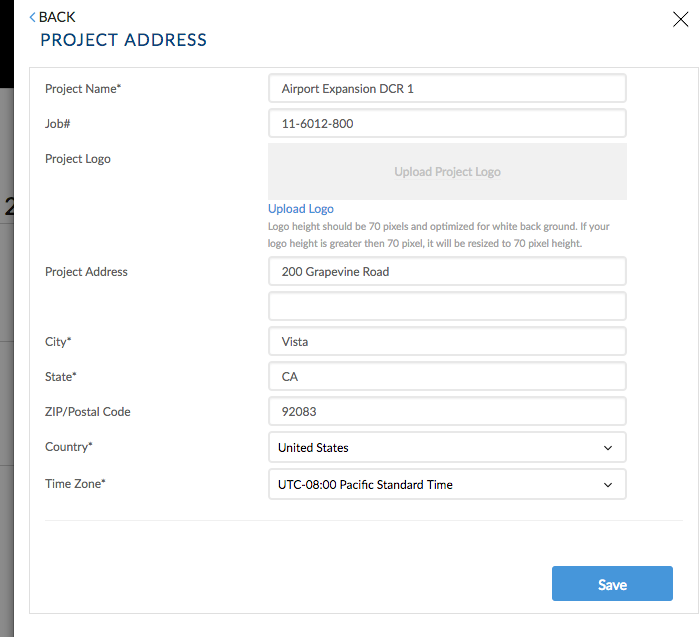 Select the project you wish to enter into from the project drop-down menu. To the right of the daily report, click on 'PROJECT SETTINGS' (displayed as a gear icon). 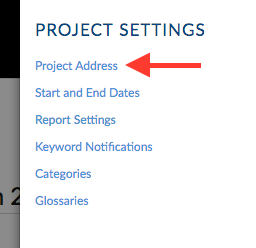 Update the project address and hit 'Save' when you are done.